Following is the 11th Feb Market review. The top sale of the day was iVocalize.com which sold for $4,285 at GoDaddy. NameBio recorded 288 sales $100+ for a total of $115,143 with an average sale price of $400. Compared to the previous day there was an increase of 16% in the number of sales and the total dollar amount increased by 8%. We also recorded an additional 864 sales below $100 for a total of $21,142. 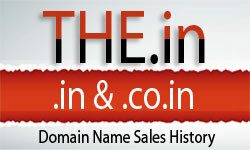 The domain TestAnswers.com sold for $205 at GoDaddy for a decrease of 71%. It last sold for $695 on February 11th, 2016 at GoDaddy. The domain PayrollSoft.com sold for $109 at GoDaddy for a decrease of 84%. It last sold for $688 on February 22nd, 2008 at Afternic. The domain SmartCards.net sold for $162 at GoDaddy for a decrease of 91%. It last sold for $1,800 on January 24th, 2006 at SnapNames. The domain HopeWear.com sold for $117 at GoDaddy for a decrease of 96%. It last sold for $3,000 on June 20th, 2012 at Afternic. Go!! Read the full report.